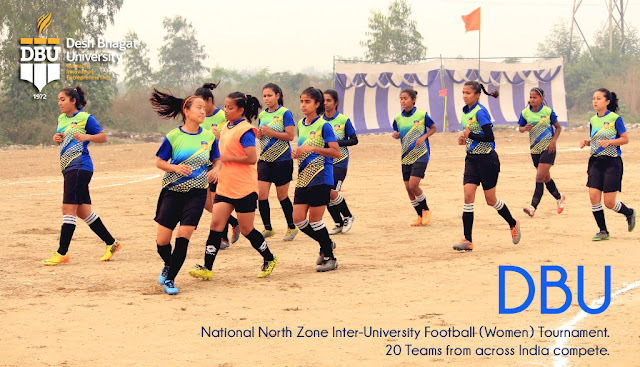 North Zone Inter University Football (Women) Tournament began at Desh Bhagat University among top private universities in Punjab (2nd Rank: NIRF Ranking - Ministry of Human Resource Development- Govt. of India) with great pomp and show. A total of 20 teams from different universities from all over India are participating in this tournament under the flag of Association of Indian Universities (AIU). In top private universities in Punjab , Desh Bhagat University is hosting this annual event of the AIU. 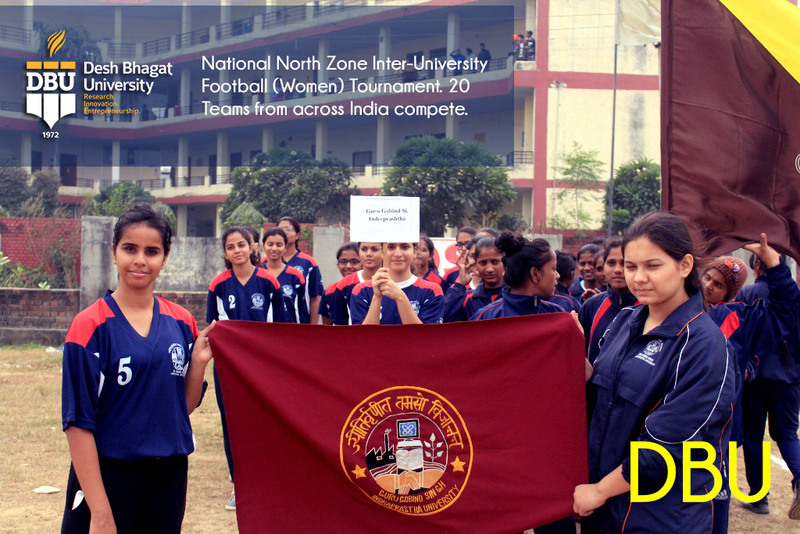 University Chancellor Dr. Zora Singh was the Chief Guest who inaugurated the tournament. While speaking on the occasion he conveyed his best wishes to all the teams saying that games and sports are an essential part of our education. He encouraged all the students to participate in sports activities with full enthusiasm and win medals for the country. Pro-Chancellor Dr. Tajinder Kaur warmly welcomed all the guests, teams and their officials. They gave good wishes to the participating teams and exhorted them to adopt positive attitude in all fields, do their best in games and glorify the country. On the first day there was Flag hoisting and march past ceremony. All the teams and their coaches took oath of fare play and to follow rules and regulations. After formal introduction with chief guest, officials and other guests’ teams played their matches according to fixtures of their pools. There were tough games between the teams of Dr. B. R. Ambedkar University-Agra and MJP Rohilkhand University-Bareilly in which Dr. B. R. Ambedkar University won by 3-0. In another crucial match, Lucknow University-Lucknow beat G.G.S.I.P University-Delhi by 2-0. There were five matches fixed on the second day of the tournament. All the teams played their best to beat the opponent. 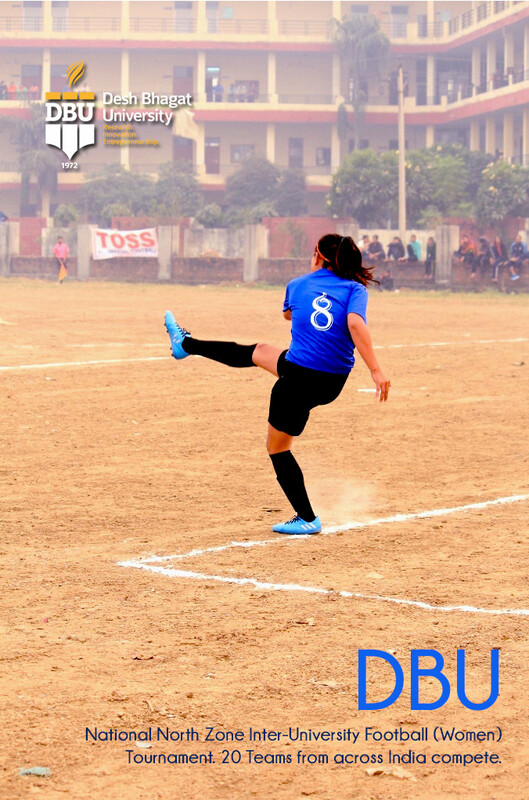 · GJU- Hisar Beat Amity University- Noida by 3-2. · H.N.B. 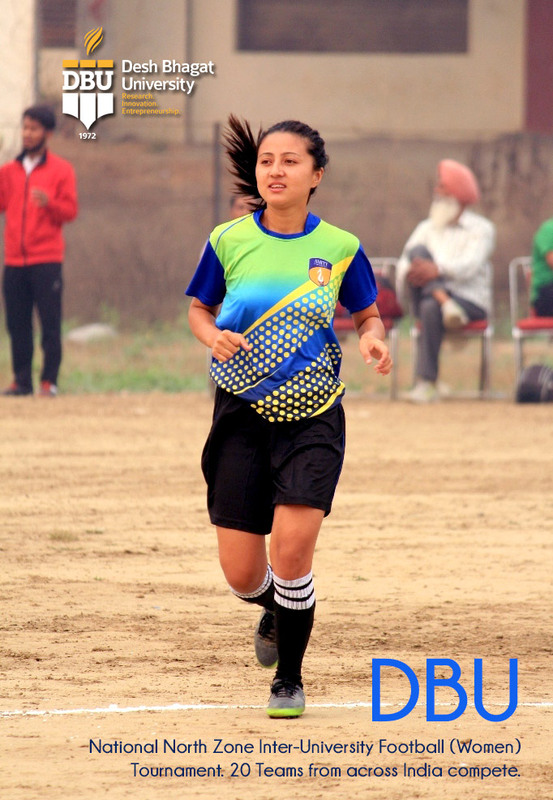 University Garhwal-Uttra Khand beat Chaudhry Devi Lal University(CDLU)-Sirsa by 3-0. · GJU- Hisar beat Punjabi University-Patiala in Penalty Stroke by 4-1. · GNDU-Amritsar beat CSJM-Kanpur by 4-0. 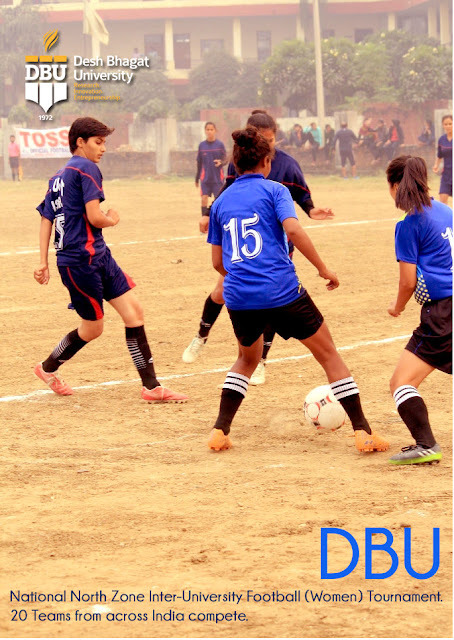 · Luknow University-Luknow got walkover on Allahabad University-Allahabad. Vice Chancellor Dr. Virinder Singh informed that among top private universities in Punjab, Desh Bhagat university is organising this tournament strictly in accordance with Latest Rules and Regulations adopted by respective National Sports Federations approved by Ministry of Youth Affairs and Sports. 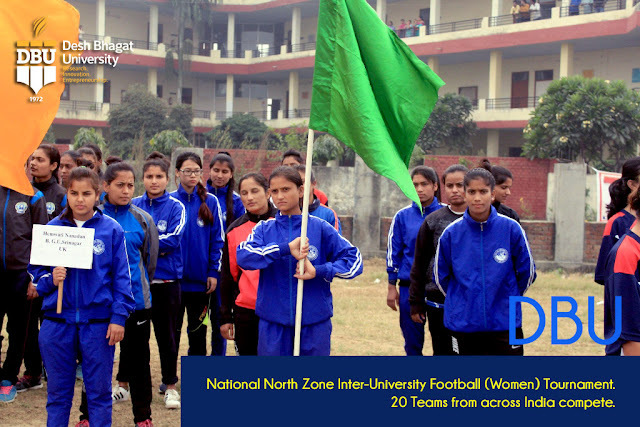 Among others Provost Dr. Neelima Jerath, Assitant Director (Sports) Nandan Singh, Sports coaches and DP’s of different universities were also present on this occasion.